The hand pump of Primary School in Negma village went out-of-order in May. After a few days, the school closed for summer vacations and the hand-pump remain unattended in May-June. After the classes resumed, the lack of potable water disrupted the distribution of Mid-Day Meals and forced students to stay thirsty for hours. Locals, principal of the school, gram panchayat, and the Self Help Group, who looks after the MDM, wrote letters to the Public Health Engineering (PHE) department by no action was taken. However, the department officials assured him and promised to send the mechanic soon. When nothing worked out in four months, Urmila Dhakkad, Head of the SHG that looked after the MDM, again wrote a letter to PHE department on August 1, 2015. All the complaints fell on deaf years of officials. After four long months, Soochna Seva team intervened. The constant follow-up by the team resolved the problem within 12 days. The principal reached out to a Soochna Sevak from Guna team and sought help. The Soochna Sevak approached the local mechanic to look into the matter. The mechanic found out that too many pipelines are passing through the pump and it can be resolved from contractor’s end. When the team approached the contractor, he too showed no interest in repairing the hand pump and gave lame excuses to escape. Brijesh Dhakad, Sarpanch, also contacted the Superintendent Engineer of PHE department to resolve the issue. The official assured that the work will be done soon but the time went by and nothing happened. The Soochna Seva team lodged their complaint at CM Helpline number and took close notice to the proceedings. It just took 12 days for the processing to get over and by September 2, 2015, the hand pump was repaired. 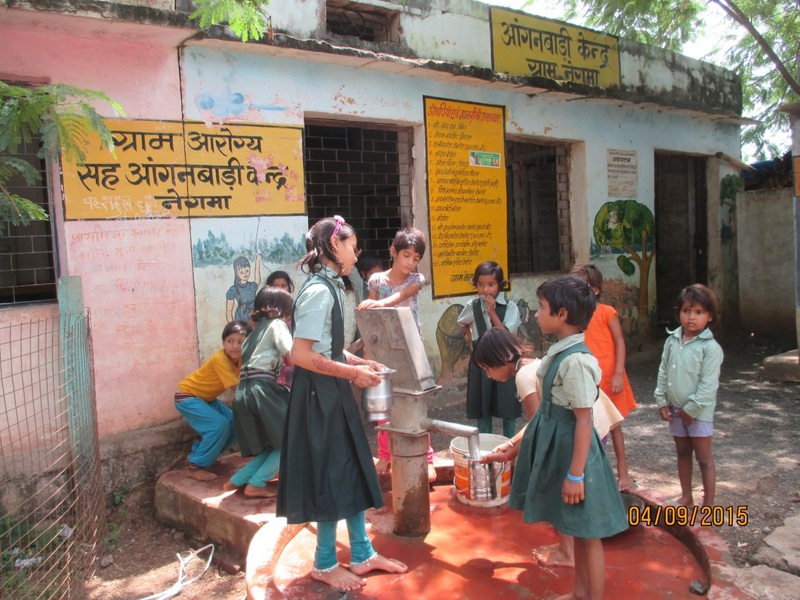 Students were able to drink water and received food on time. The principal and Sarpanch thanked the team and appreciated their good work.